Television addiction is not about how much we like – or even love – television. It is about how watching too much of it affects our lives. Like any serious behavioral addiction, television addiction takes over a person’s like to the point where only formal addiction counseling can help. Television watching has been a favorite past time of families since the television set first debuted in households. Today, the volume of channels and show choices has increased and there is something for everyone to enjoy. 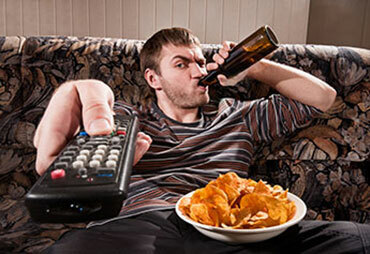 Television addiction is believed to exist as a type of behavioral addiction similar to pathological gambling. There is no doubt that television exerts a strong grip on the watcher. However, is a high amount of TV watching due to cultural norms combined with a genuine interest in what is broadcast or is the watcher simply powerless to turn it off? What are the factors that can mutate this devotion to television into a harmful addiction? Though not considered an “official” mental disorder, there is a growing body of evidence that pieces together the framework of the television addict. Television, has however, been linked to autism. In a study contradicting the widespread belief that the presence of mercury and other heavy metals in childhood vaccines contributes to autism, Cornell University researchers demonstrate what appears to be a causal relationship between television viewing by young children and a growing incidence of the disorder. 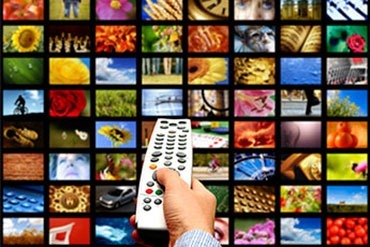 The U.S. Department of Labor reported in September 2004 that watching TV accounted for about half the leisure time on average for both American men and women. The Department’s Time Use Survey showed that watching TV was third in total daily use of time behind working and sleeping. Watching television is culturally approved use of one’s time. Using the above statistics, the average American will spend about 3 hours per day watching television which adds up to 15 hours a week. If a person spends about 9 hours sleeping, then at least one day’s entire waking hours each week are spent watching TV. Most psychological research suggests that TV can certainly become addictive and that heavy TV watchers display all the symptoms of a non-substance behavioral addiction. Breaking free of TV, and any addiction, is not an easy task. The difficulty in replacing television images with different (and more substantial) activities is the greatest obstacle breaking the addiction. Counseling can help with television addiction by assisting you in finding other, more productive ways to feel good. 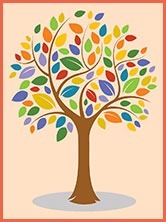 To learn more about how counseling can help or to make an appointment, call 408-264-3082.